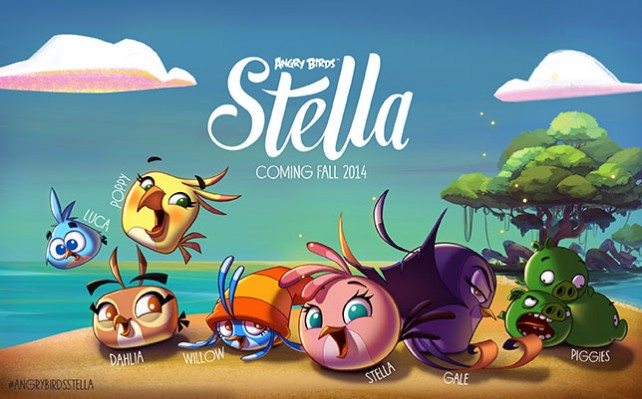 She's Fantastic: Angry Birds Stella - GALE! 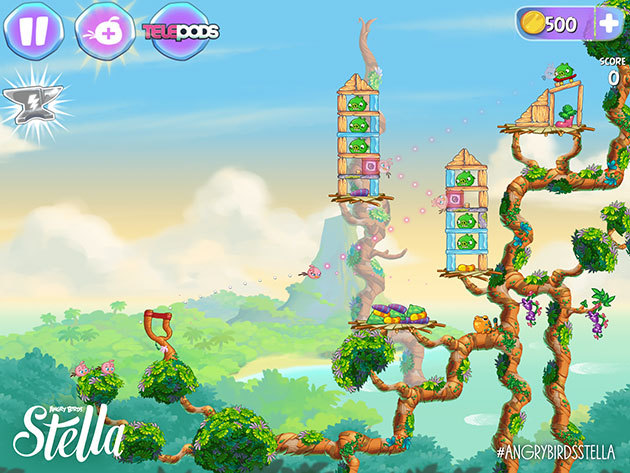 Angry Birds Stella - GALE! I'm not a big player of video games. In high school, I was a total addict though. I was only allowed to play on weekends and on more than one occasion I would plug in on Friday and in a blur of stars and explosions it would be Monday again. I gave up games cold turkey my freshman year of college and haven't looked back. Then along came the smartphone (and my need to take long unwarranted bathroom breaks to clear my head at work). 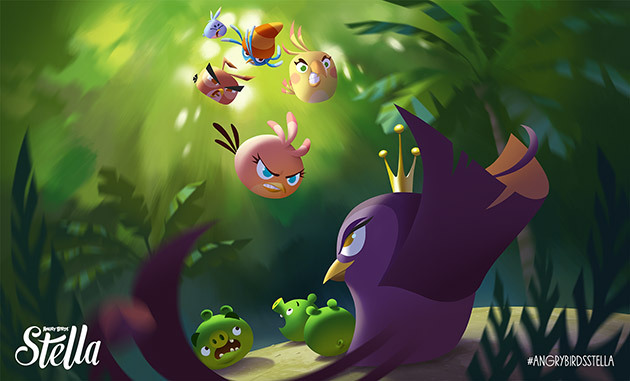 Angry Birds quickly became an addiction for me. I am super OCD so I had to get full stars on every level and all bonuses. I felt like a high school kid again. I beat the first game, then Seasons, but then I gave up halfway through Space and skipped Star Wars altogether. I've since dabbled in Candy Crush and Farm Heroes, but nothing has matched that initial thrill of Angry Birds. 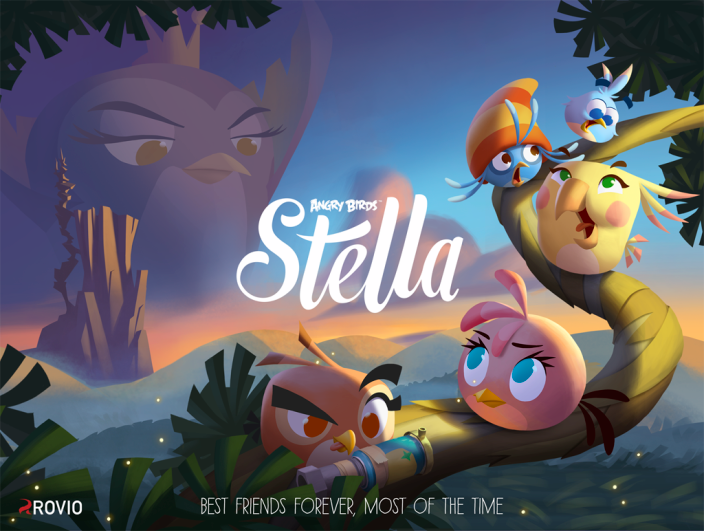 Then a month or so ago I saw news of a new game: Angry Birds Stella - starring the fan favorite pink female bird (the only girl) that first appeared in Birdday Party pack of the classic Angry Birds in 2011. The coolest part of this new game was that there were now a bunch of female birds. The one that instantly stuck out for me was Gale, the purple witchy looking one (a nightingale I presume?) But the pigs are the only bad guys, right? Not in this game. Gale is Stella's former best friend who is now in alliance with the pigs. She has an amazing Disney-esque villain look. I never expected to buy any toys of these characters, but I recently found myself on a mini shopping spree at TRU and this little lady found her way into my basket. Gale comes with two "accessories." One is a body/outfit piece that displays a royal cloak of sorts. The other is a larger, clear, "Telepods" base which I believe acts as a magnifying glass for the QR code on her underside. The graphics on the packaging seem to show that if you place Gale onto this clear base and set that combination on your touch screen (iPad, IPhone, whatever) that special features or characters will be unlocked. The game doesn't come out until next week so I'll guess I'll have to wait and see. Here are some images from an insert advertising all the other figures in this series. Here are some promotional pictures in advance of the game. Also note, there is a cartoon and comic in the works so these images could be applicable to those projects as well. And here is an actual screenshot of the game.